INTERESTED IN SHORT-TERM PRO BONO? 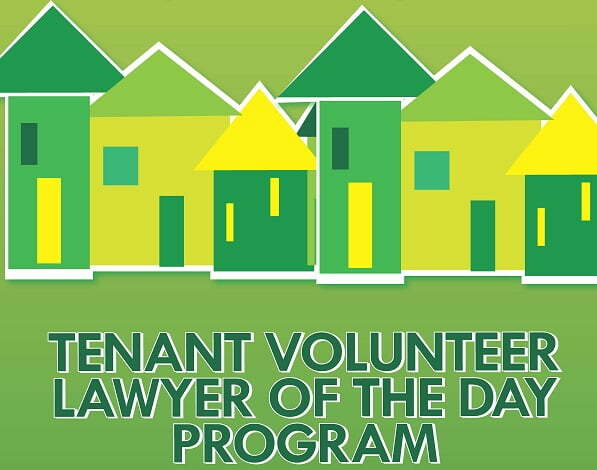 The Tenant Volunteer Lawyer of the Day Program Needs YOUR help! Baltimore City tenants appearing in Rent Court are almost always unrepresented, unfamiliar with court procedures, and unaware of available defenses. Even when they have a clear defense or face unsafe conditions like rodent infestations, leaks, or mold, tenants need help to successfully navigate Rent Court and exercise their rights. 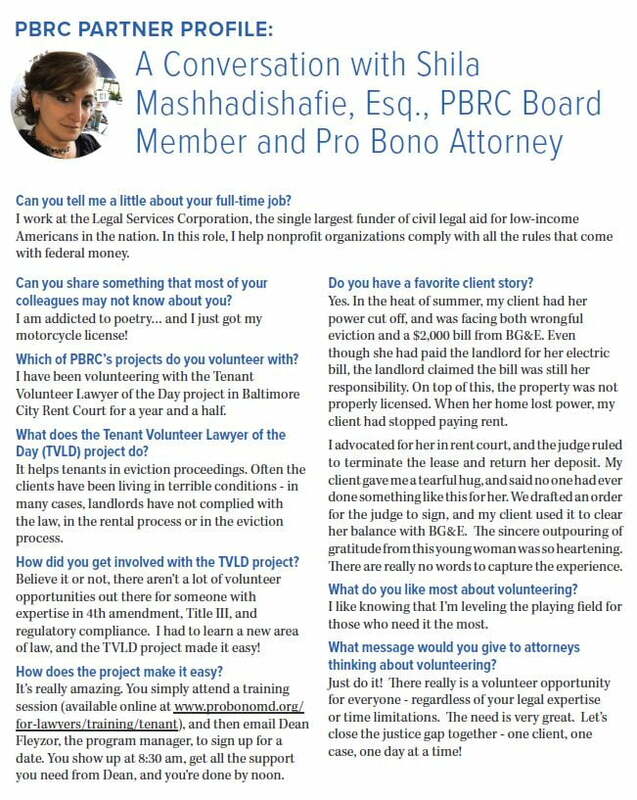 Pro Bono Resource Center of Maryland (PBRC) is now recruiting volunteer attorneys to provide limited scope, day-of-court pro bono representation to Baltimore City tenants being sued for nonpayment of rent. WHO: MARYLAND VOLUNTEER ATTORNEYS. 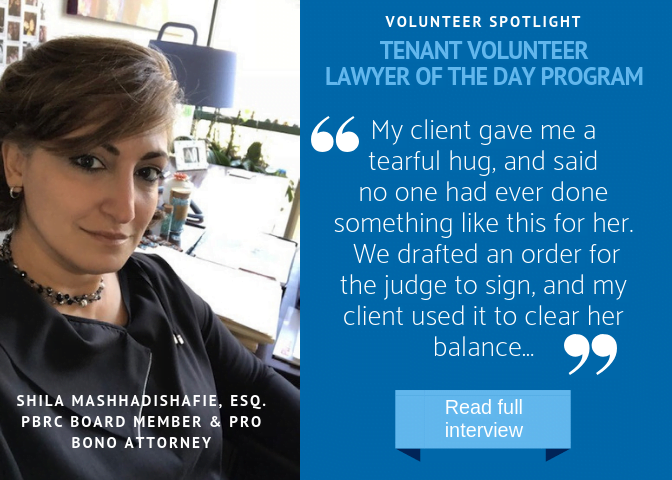 Interested attorneys not barred in Maryland must become specially authorized to practice pro bono in the Tenant Volunteer Lawyer of the Day Program (contact Annie Speedie at aspeedie@probonomd.org for more information). This project is SUITABLE FOR NEWLY ADMITTED attorneys and those seeking civil litigation practice. The Project will operate on the morning dockets Tuesday through Friday. In exchange for the free training, attorneys must commit to volunteer on three Project dates within one year of registering. To become a volunteer in Project, complete the online Basic Training Registration Form. Questions? Email Dean Fleyzor, Esq. at dfleyzor@probonomd.org OR call 443-274-5200.